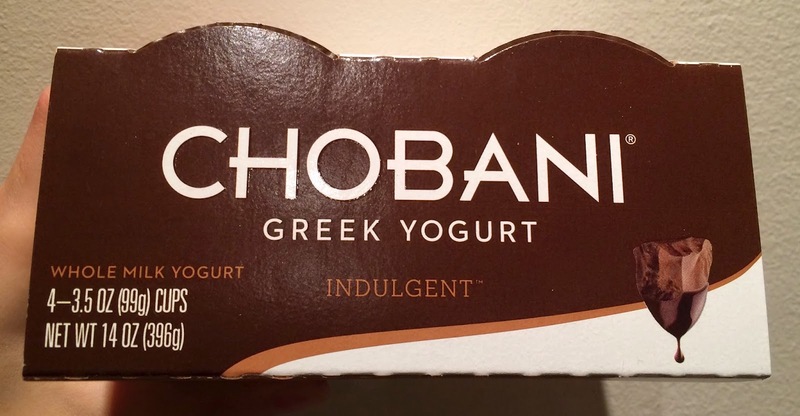 I saw new Chobani flavors the other day, but it's a bit too pricey so that I didn't buy. 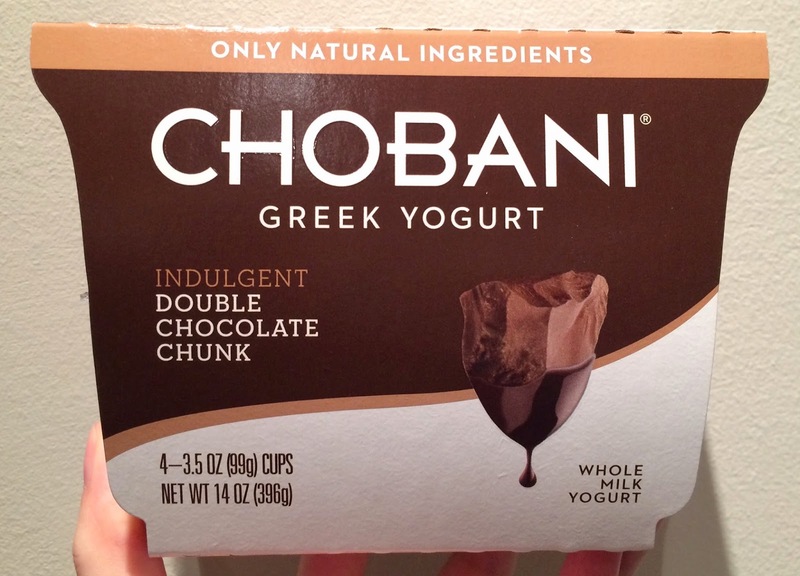 Today, at Target, they're selling them cheaper and there're more flavors in Chobani Greek Yogurt Indulgent series; chocolate with mint, raspberry, banana, dulce de leche caramel and double chocolate chunk. I think it's sold for about 6 bucks in NYC but about 3.70 at Target in Connecticut. 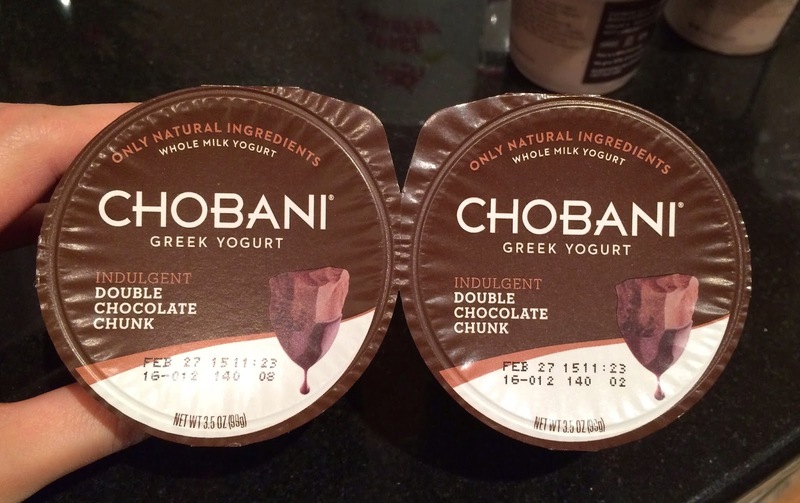 I couldn't find any information about the launching date, but Chobani Facebook page showed dulce de leche caramel and double chocolate chunk on January 11, 2015. All the Indulgent series I found was a set of 4 mini cups, and the paper package looked like the cup from the front. On the top, it's dark brown which made me think of chocolate. 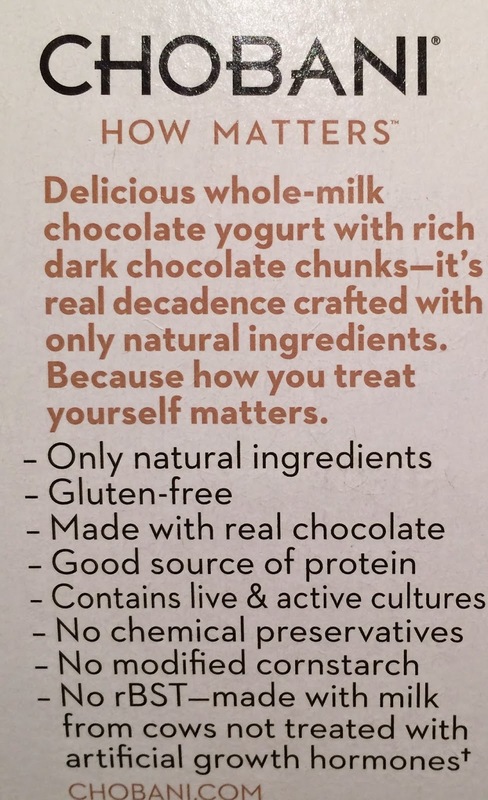 According to the package, they use real dark chocolate chunks like they've always said they only use natural ingredients. 2 cups were connected by the plastic lid and stuck up. 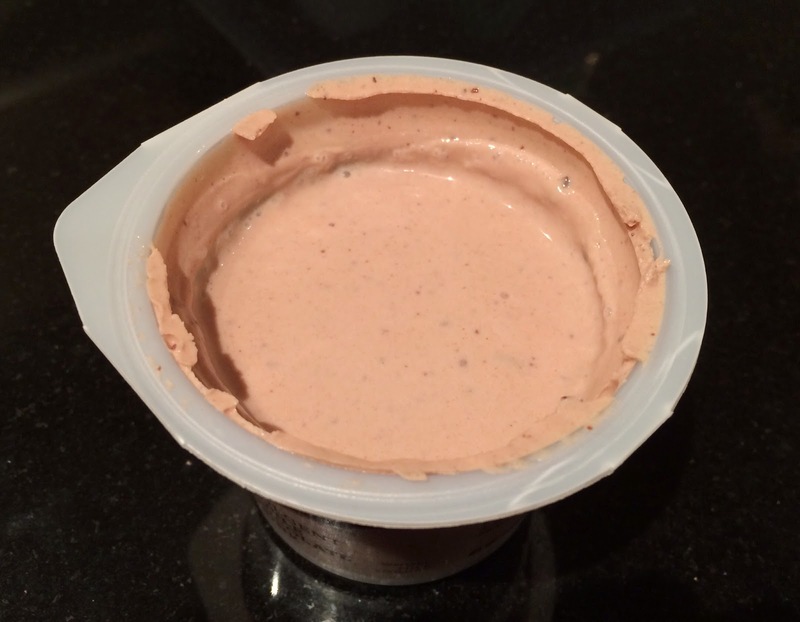 The lid had the same design as the paper case. It's the first translucent cup in Chobani yogurt I've seen as usually they use white plastic cup with colors of the ingredients, like fruits. The cup looked so small and the weight was 99g instead of regular Chobani which contains 150g, thus it's about 2/3 of the size. 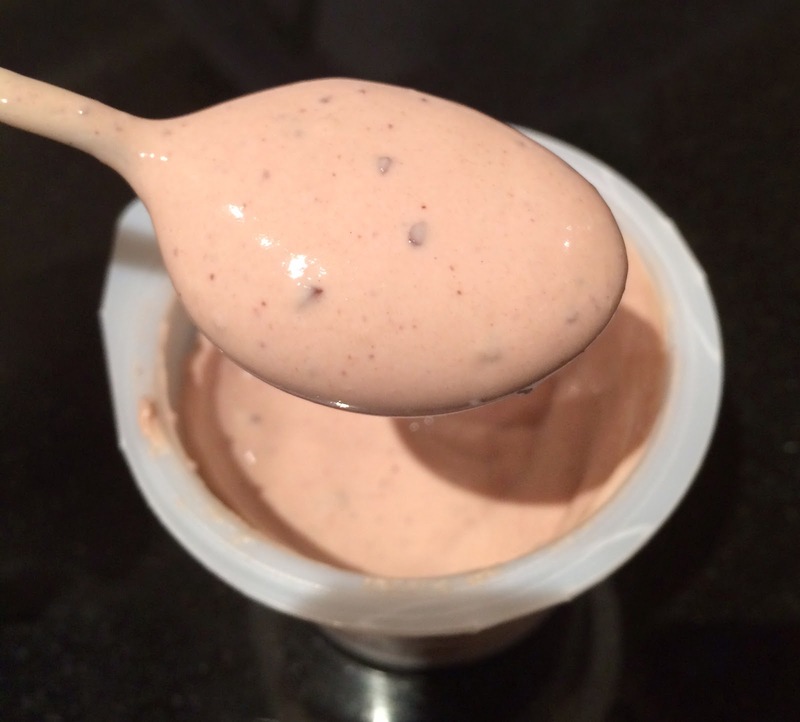 The color of the yogurt was chocolate flavored milk color, and there're chocolate chunks in it. 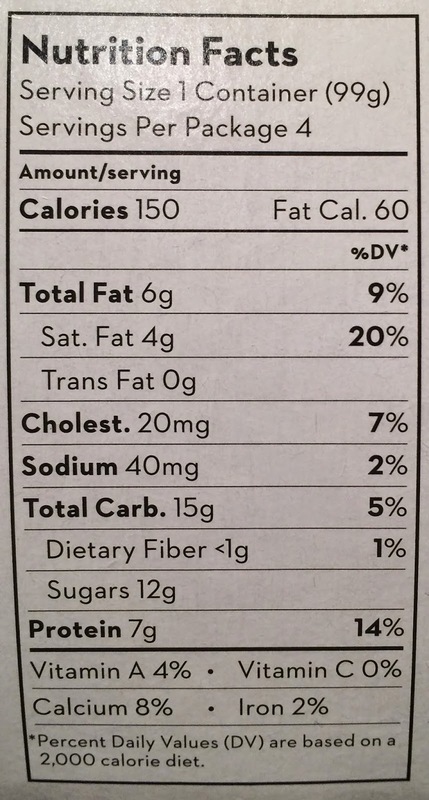 Though it's described as chunks, they're more like shredded and not large or hard at all. Chocolate chunks were bitter and crunchy. 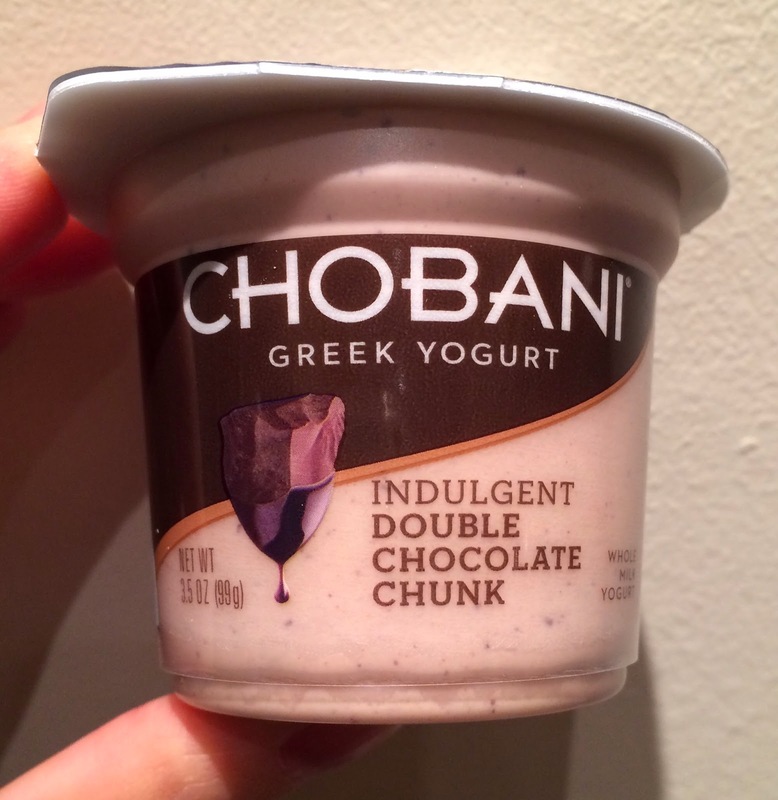 Thick yogurt had sourness and chocolate favor was subtle. The flavor was "sweet-sour," and to be honest, I thought it's not that bad yet it's not tasty. 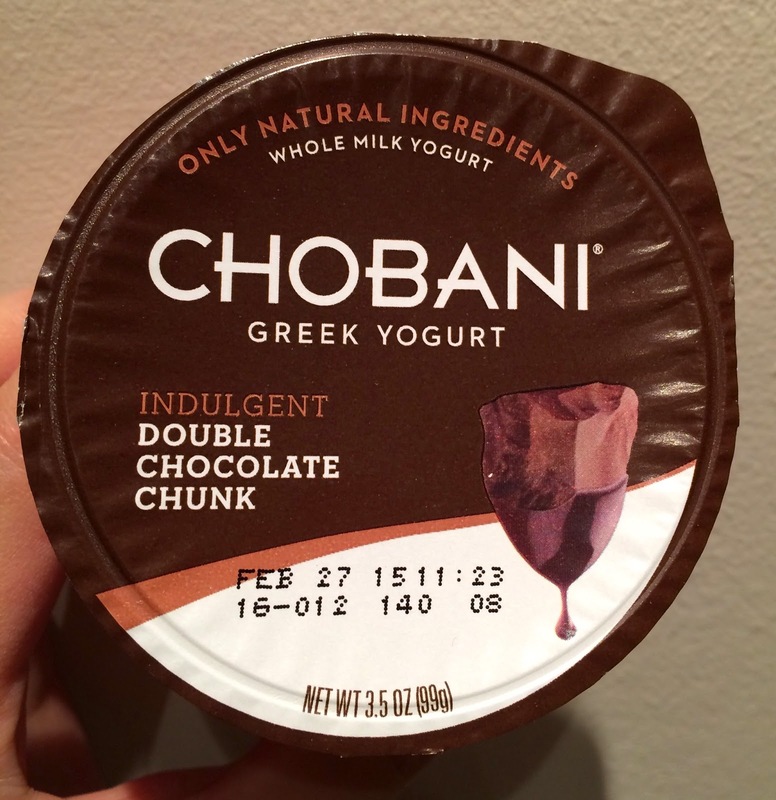 Personally I thought yogurt would go better with regular fruits than chocolate or caramel. When I see the 3 cups in the fridge, I feel reluctant and I really wish they had sold these individually.